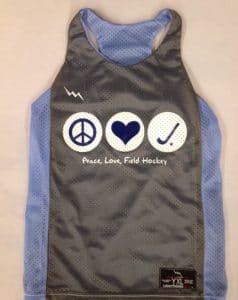 Do you get the feeling that these floral field hockey pinnies from Lightning Wear should just smell nice all the time. 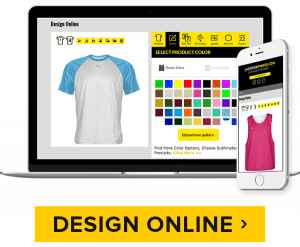 Make your own Knights pinnies from Lightning Wear Apparel in Maryland USA. 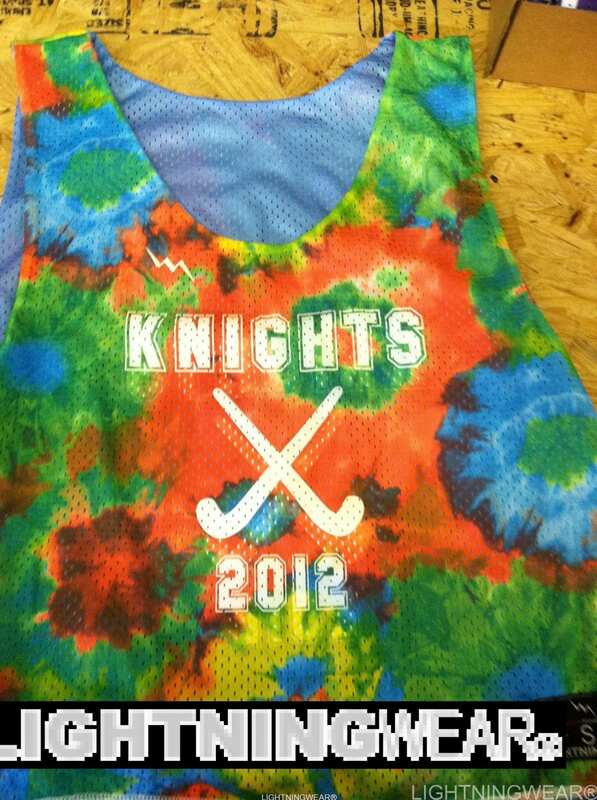 There will be no problem spotting these Green Field Hockey Pinnies with Tie dye inners from Lightning Wear. 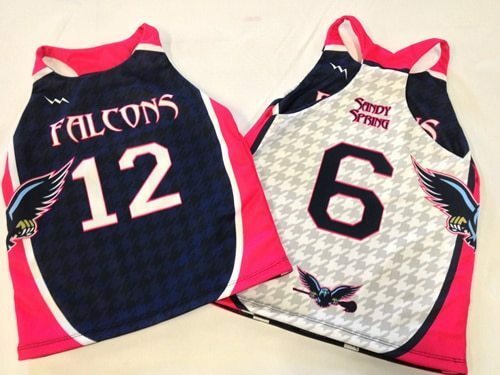 Custom field hockey pinnies going out to Baltimore Maryland. Thanks for the order. A little Elite Alumni Field Hockey Pinnies are going out to Putnam Valley New York. Thanks for the order and good luck with the team. Here goes a reorder set to the Smithfield ladies field hockey team. Thanks for the repeat order and another best wishes to you all this season! Lindsay and her friends are going to be pumped about these Skull and Cross Bones Field Hockey Pinnies. Thanks for the order. Some hot shots will be looking like hot stuff on their way to the ladies in Jefferson Massachusetts. Some womens reversible plain jerseys are on the way to our neighbors in Carlisle PA. thanks for the order and best wishes on the season. Maroon and Athletic gold reversible pinnies. Some special Zebra Print Sides are on the way to The 2011 FVFH Field Hockey Team. Thanks for the order.